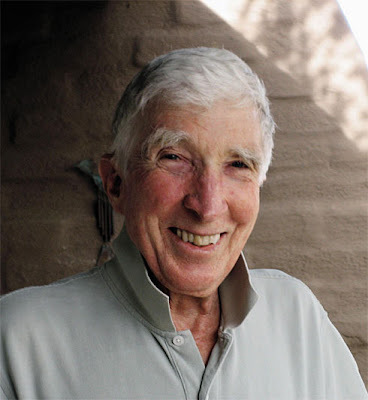 The acclaimed writer John Updike died last January 27 at the age of 76. 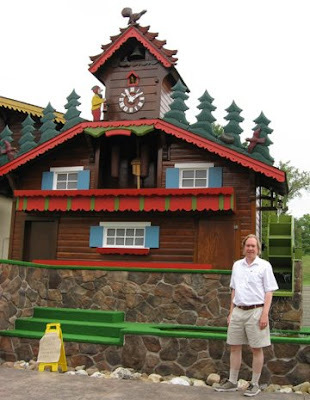 He crossed our Eccentric Roadside universe on our 2006 roadtrip and we are a little late in paying tribute to him, but better late than never, so here goes. 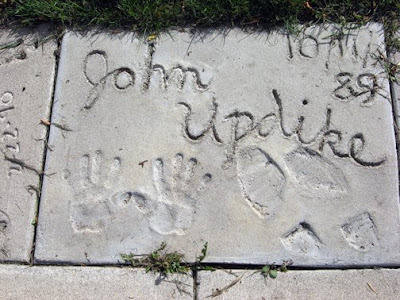 Even though he was a two-time winner of the Pulitzer Prize and one of America's foremost literary figures, he wasn't too big for his britches to sign his name in concrete at North Dakota's Fargo Walk of Fame in 1989. His block sits proudly next to REO Speedwagon. Gob bless you, Mr. Updike. 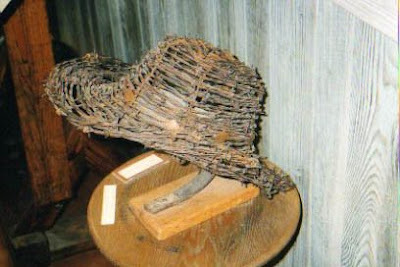 Rabbit is at rest. 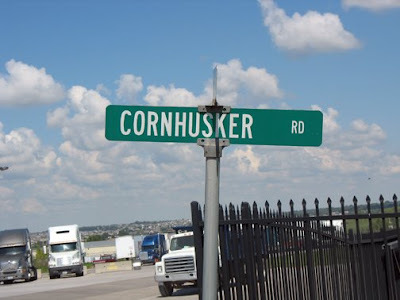 ...the streets are named Cornhusker. 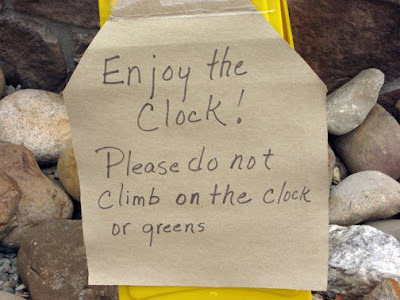 You just don't get that in Rhode Island. 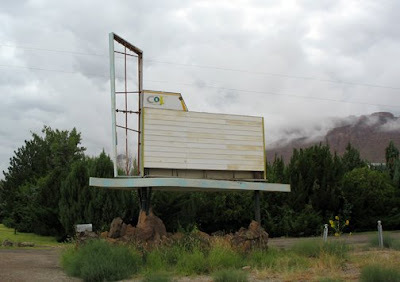 I'm always delighted at the site of an abandoned drive-in, and a nice one greeted us upon our arrival back in 2006 in the pretty town of Moab, Utah, near extraordinarily beautiful Arches National Park. 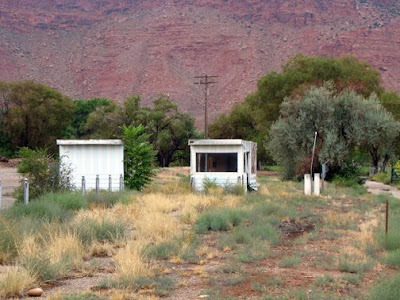 There didn't appear to be a screen anymore, just a cool old retro sign, a disheveled hut at the former entrance and lots of tumbleweed-like growth surrounded by stunning Utah landscape. 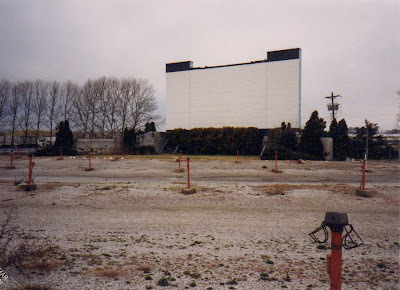 Must have been quite the time, watching "Son of Flubber" under the stars in this awesome Western locale back in the day. The handy website driveintheater.com tells me there was a drive-in in Moab called the Grand Vue at one time so I assume this is what's left. A grand view indeed. 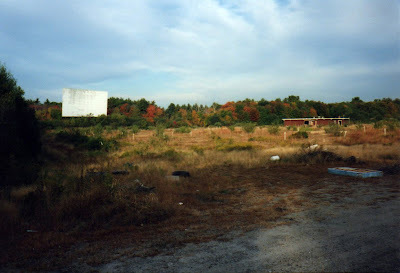 I unearthed some more photos I shot of another abandoned drive-in theater, probably some time in the early 1990s. 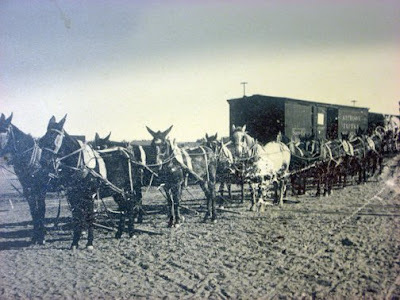 This one looks to be the Meadowbrook, but I can't say from where. I originally thought it might be in Florida, as I travelled there back then and vaguely recall taking pictures of a place like this. However, the flora doesn't look very Florida-like. 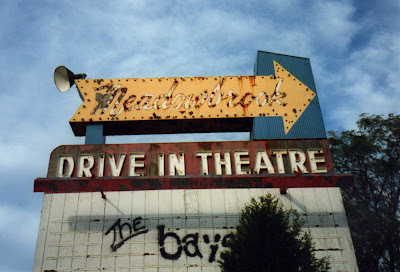 An internet search tells me there was a Meadowbrook Drive-In in Middleboro, Massachusetts that closed in 1987. This is probably it, but I don't remember being in Middleboro. 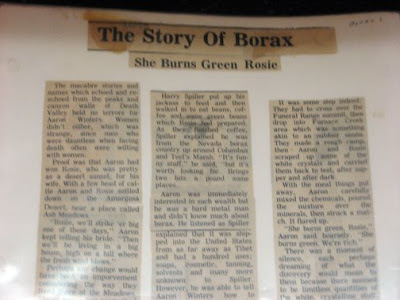 My archivist brother would be reprimanding me for not labelling these precious artifacts properly. 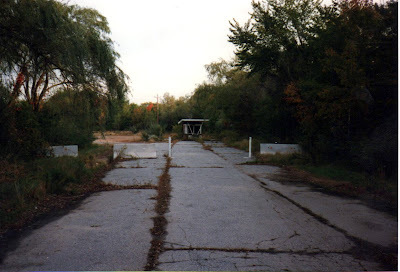 If anybody knows anything about the Meadowbrook, I'd sleep better having solved this mystery. 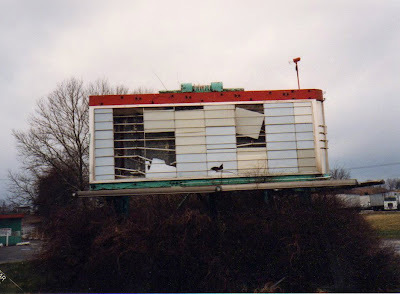 I was rummaging through some old photos and came across some striking pictures I took of an abandoned drive-in movie theater in 1991. 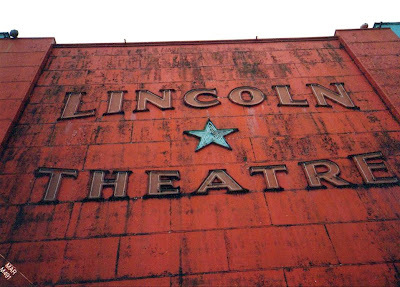 I made no indication on the back of the prints where they were shot, but as best I can figure, they are the Lincoln Theatre of York, Pennsylvania. We were in that area around that time, as I recall, because Sherry's cousin Bobby was getting married in southern Pennsylvania, and I also remember it was kind of rainy on that trip. 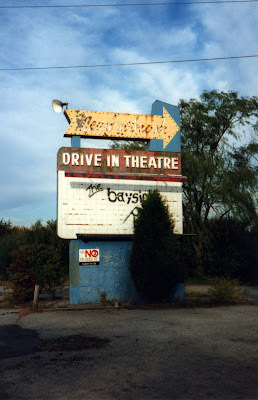 I consulted the excellent website driveintheater.com and they list a Lincoln Drive-In in York, so it makes sense to me. 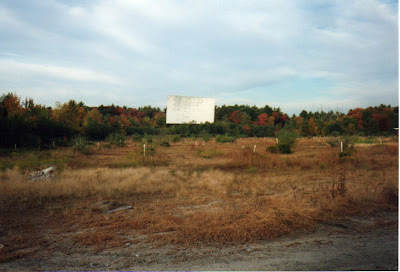 I can never resist taking pictures of drive-in theaters if it's at all possible without causing a 10-car pileup or being shot at by an angry land baron in the process. They're so, so cool in so many ways, bringing back happy childhood memories. 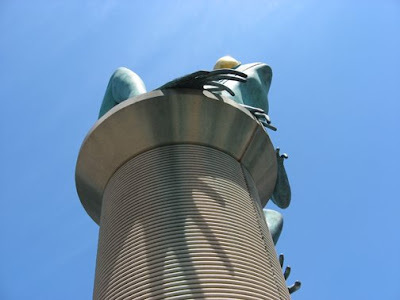 I also love the weird irony of these big, once-gleaming, hulking icons of the past rotting away. 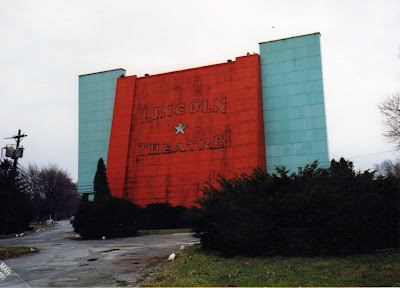 I would imagine by now the Lincoln is long gone and a Staples or Home Depot now sits where snack bars and pajama-clad kids, Moms and Dads on a budget, and young lovers once frolicked. 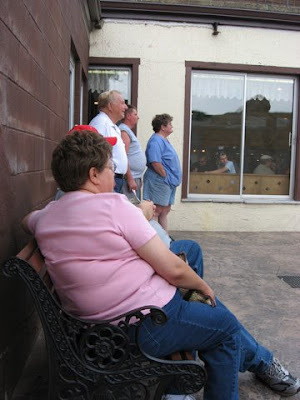 If someone out there can verify or enlighten me a bit further about the fate of this grand old lady, I'd love to know. Death Valley's Devil's Golf Course: Fore! 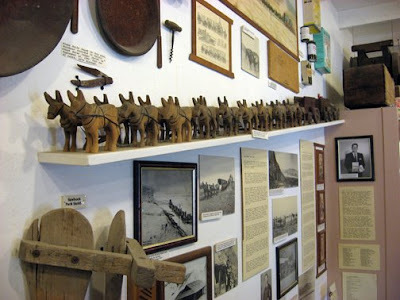 Death Valley is a beautifully eccentric place. 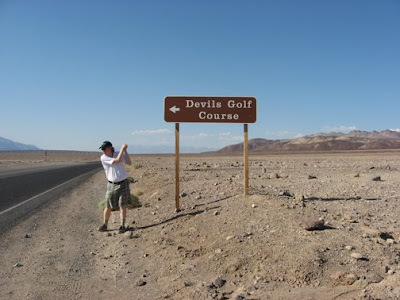 Especially worth noting is the section called The Devil's Golf Course, if for nothing else, its goofy name. Who, exactly, does the devil play and what's his handicap? 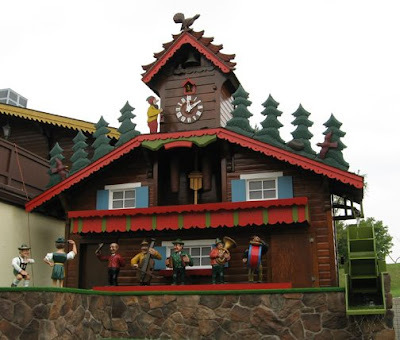 Is there are a Devil's Clubhouse? Does the devil wear really loud plaid pants and drive a Buick? Is there a Devil's Mini Golf Course for all the little Satans? As you may have gathered by now, the Devil's Golf Course is not an actual golf course, but a salt pan formed of large salt crystals with a surface only the devil could play golf on, or so the story goes. 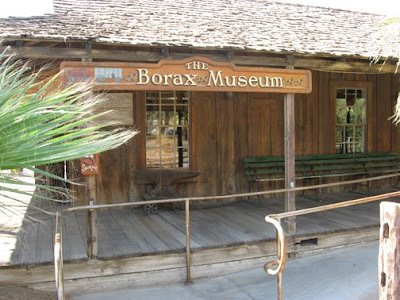 It's located in Death Valley National Park. Oddly enough, there is a real, honest to goodness golf course elsewhere in Death Valley in the Furnace Creek area, so don't be confused. 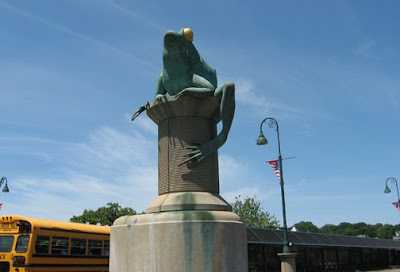 Willimantic, Connecticut's Thread City Frog Bridge: ribbit transit! 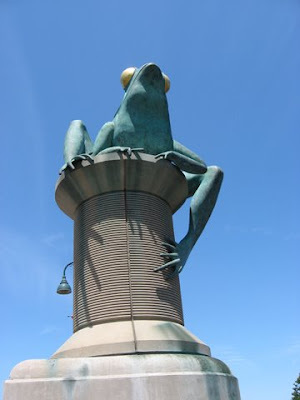 If a bridge that has four giant frogs sitting on huge spools of thread (frogs? 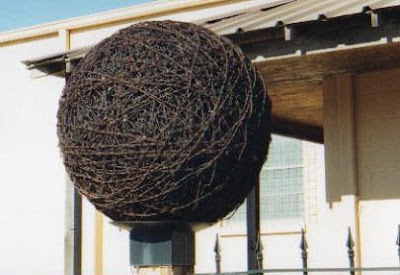 thread?) 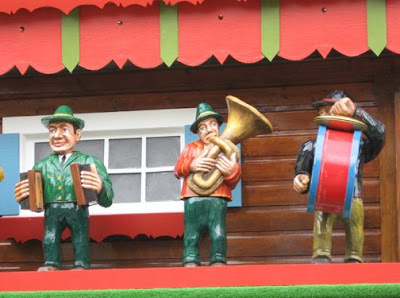 doesn't qualify as an eccentric roadside attraction, then I'll eat my hat. 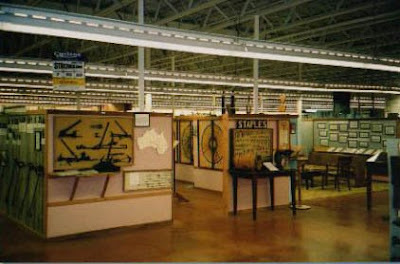 The eastern Connecticut town of Willimantic was once known as Thread City because The American Thread Company had a mill on the banks of the Willimantic River, and was at one time the largest employer in the state as well as one of the largest producers of thread in the world. Like many other mill towns, the main industry eventually left, leaving a slightly depressed but never-say-die college community (UConn and Eastern Conn. colleges are nearby) in its wake. 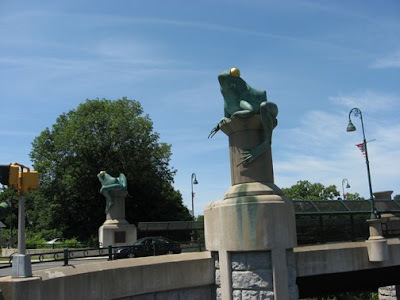 When an old bridge needed to be replaced, town officials decide to capitalize on Willi's colorful past with a bit of whimsy and an archectually beautiful bridge decorated with frogs on thread. The thread part makes sense, but why frogs? Why indeed! 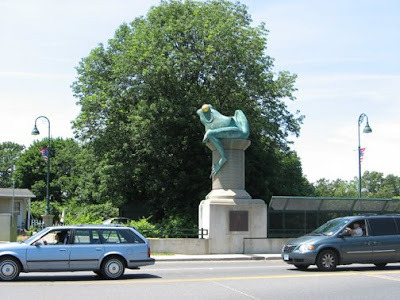 The town has a legend called Frog Fight, when, in 1754, townsfolk were awakened from their beds by an unseen screeching menace. The next morning, they discovered scores of dead frogs, who had fought for the last remaining puddles of water in a drought-stricken lake. The four-lane bridge, which opened in 2000, is officially state road 661. 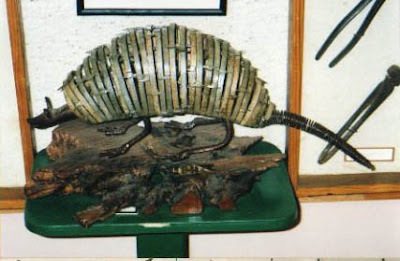 It's toadally cool. 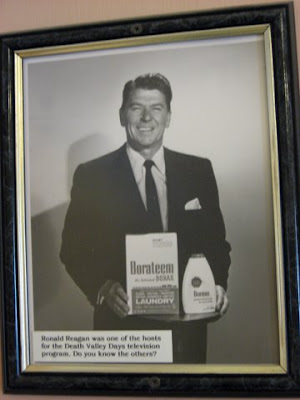 Before we leave McLean, Texas: Fill 'er up! 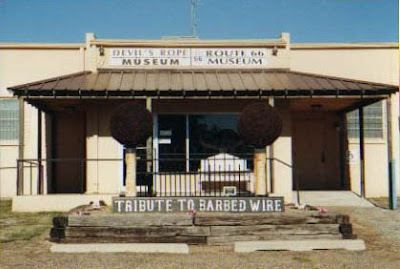 McLean, Texas is abundant with true Americana and eccentric roadside attractions. 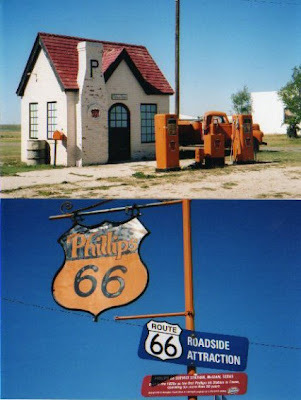 One of its best is this beautifully restored 1927 cottage-style Phillips 66 gas station, commissioned after the U.S. Government decided to create a little coast-to-coast highway known as Route 66. 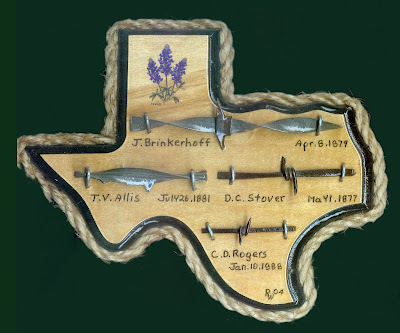 This site hearkens back to a time when a gas station was a little oasis for road-weary travellers looking to fill their tanks and radiators and mop their brows and be greeted by friendly bow-tie wearing servicemen who wiped your windshield and offed you a map. 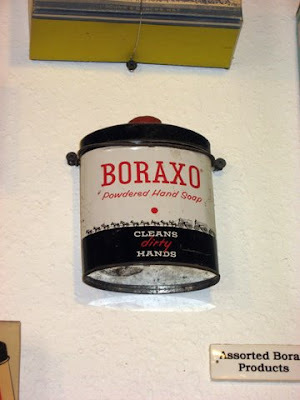 Maybe the Joads stopped here on their way out of Oklahoma.